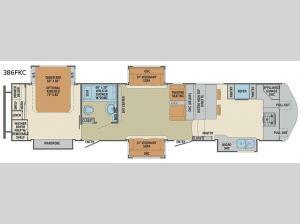 If you have been searching for a fifth wheel that has it all, stop looking. 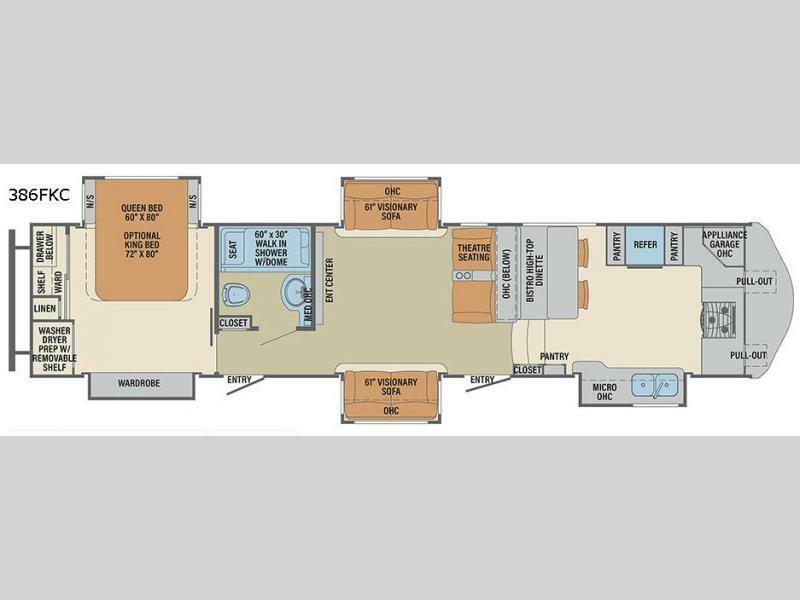 This Columbus Compass 386FKC offers a rear master bedroom complete with a pillowtop mattress, and a centrally located living area with an entertainment center that can be seen from the front kitchen. The kitchen includes plenty of counter space for preparing meals for everyone, a unique appliance garage and a bistro high-top dinette with chairs and a bench to mention a few "must have" features in your next fifth wheel. This unique floorplan also allows quick entry into the hallway across from the full bathroom, and easy access to the main living area. Stop searching, this is the one!